STARRING Charlotte Brittain, Lee Ross, Annette Badland, James Hooton, Lisa Jane Riley, and Charles Dale. SYNOPSIS Daisy is a large twenty year old woman married to Ken a slim unemployed dreamer. When Ken's dreams fail to bring in the money, Daisy is forced to take a factory job to make the rent and pay the bills. Daisy notices, while working at the factory, that her boss Marlene grants special privileges to a select group of large women. Finding her way into the fold, Daisy learns of a Secret Society of sumo wrestlers, who know how to love and use their bodies. 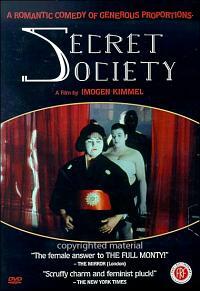 Daisy may have to make a hard choice, though, when Ken finds out about the society and his wife's part in it.